Calling all graduate students and postdoctoral fellows: do you want to be a university faculty member? 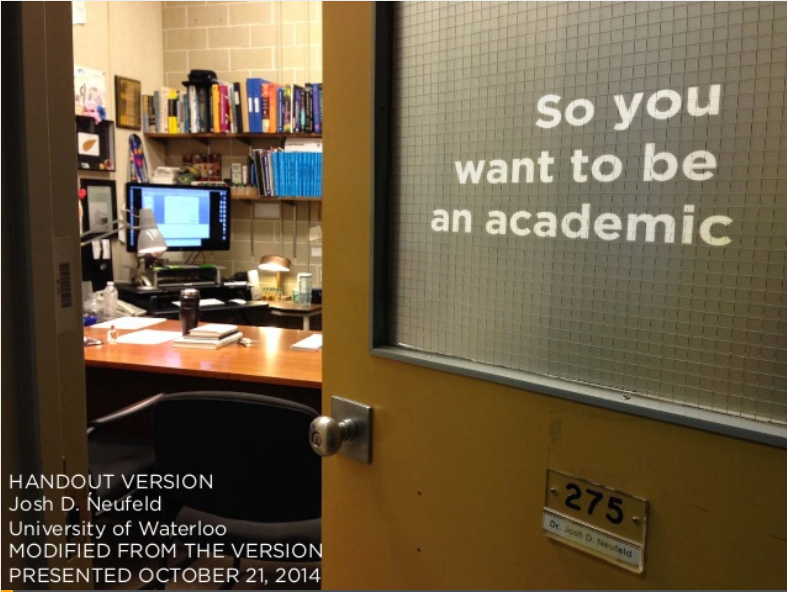 This presentation offers advice on how to secure an academic job, and even advice on whether this is right for you. The picture of the black book half way through? That’s the book you bring with you to the interview with questions for each meeting, research and teaching plans, and other notes to get you through the interview process confidently.